Sarah Brightman has announced she will not be going to the International Space Station (ISS) in September 2015. The British soprano wrote on her blog that she was postponing the adventure for “personal family reasons”, giving no further explanation. Sarah Brightman, 54, was due to fly to the ISS on 1 September as a tourist. When, or even if, Sarah Brightman will get to complete her dream of a 10-day holiday in orbit is not clear. It is thought such a trip would cost the singer about $50 million. 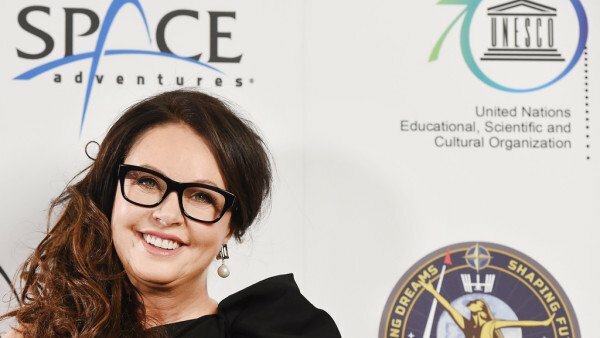 Space Adventures, the company that was organizing Sarah Brightman’s trip, is given only a very limited number of seats on Soyuz rockets to sell to tourists. Who will take Sarah Brightman’s berth in September is uncertain. It ought to be Sarah Brightman’s back-up – a Japanese executive Satoshi Takamatsu, but Space Adventures has yet to confirm this. Space Adventures’ Eric Anderson said: “Since 2012, Sarah has shared her story of a lifelong dream to fly to space. Her international fame as the world’s best-selling soprano has enabled her message to circle the globe, inspiring others to pursue their own dreams. Flights to and from the ISS are currently on hold following the failure of a robotic cargo ship in late April.